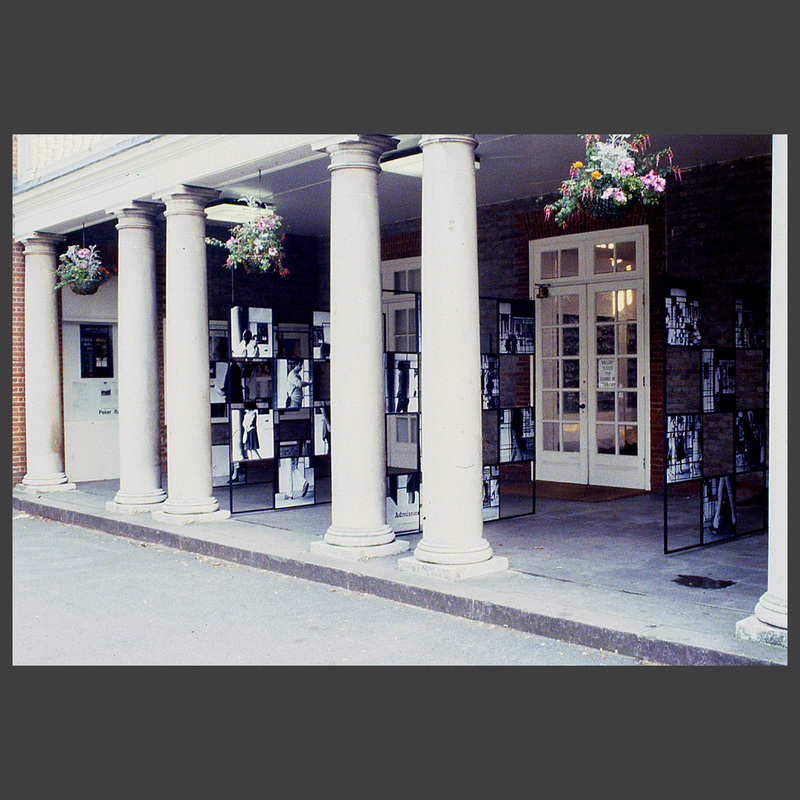 The second photographic installation at the Serpentine Gallery was carried out in the entrance area. 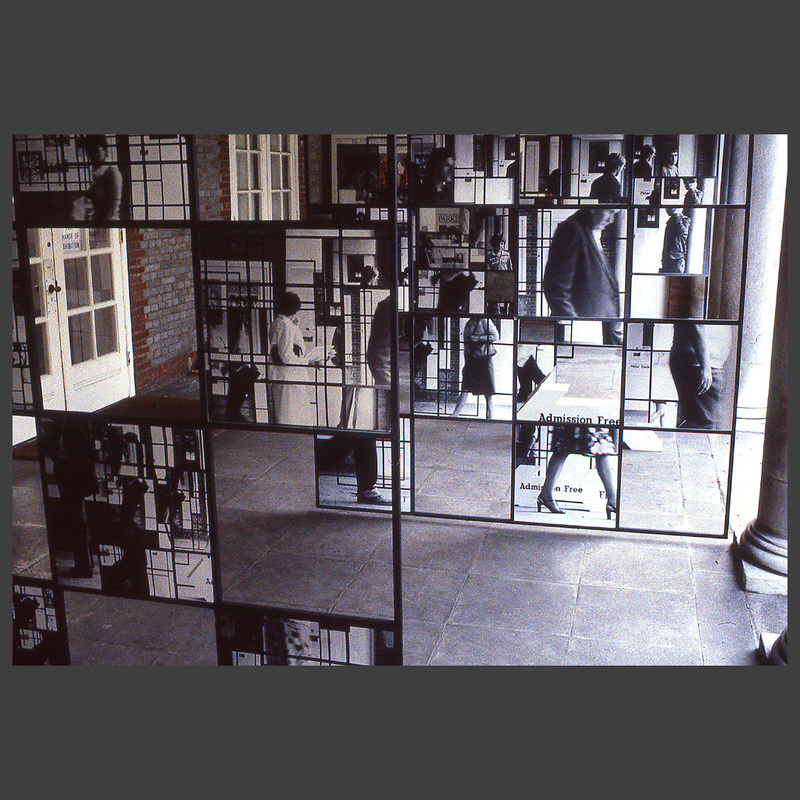 Four frames were suspended in such a way as to create channels through which visitors would enter the gallery. 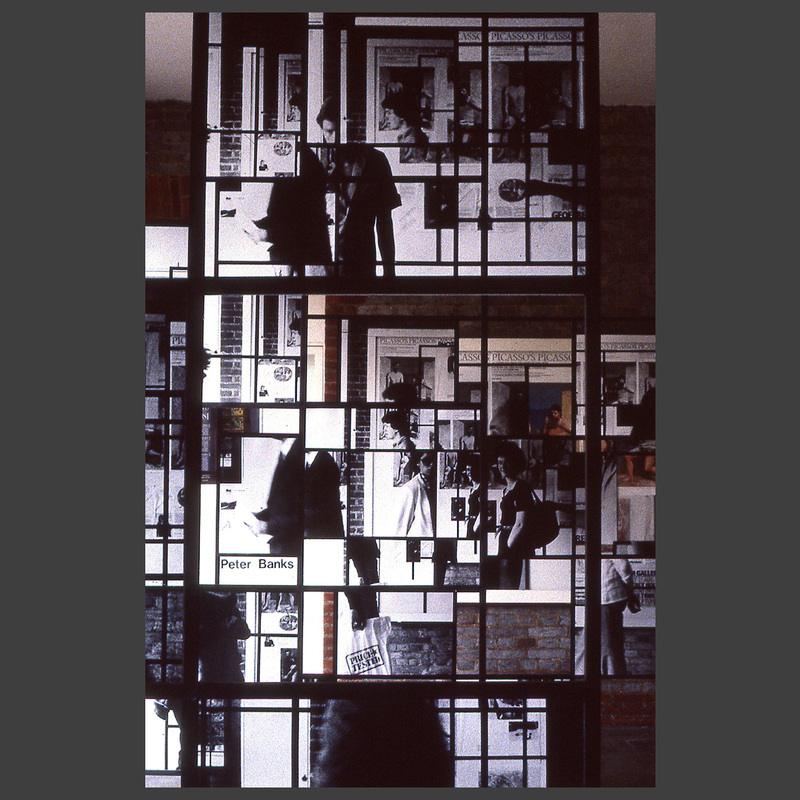 The frames were offset by half their length and grids were also created on the two display boards at the sides of the foyer. 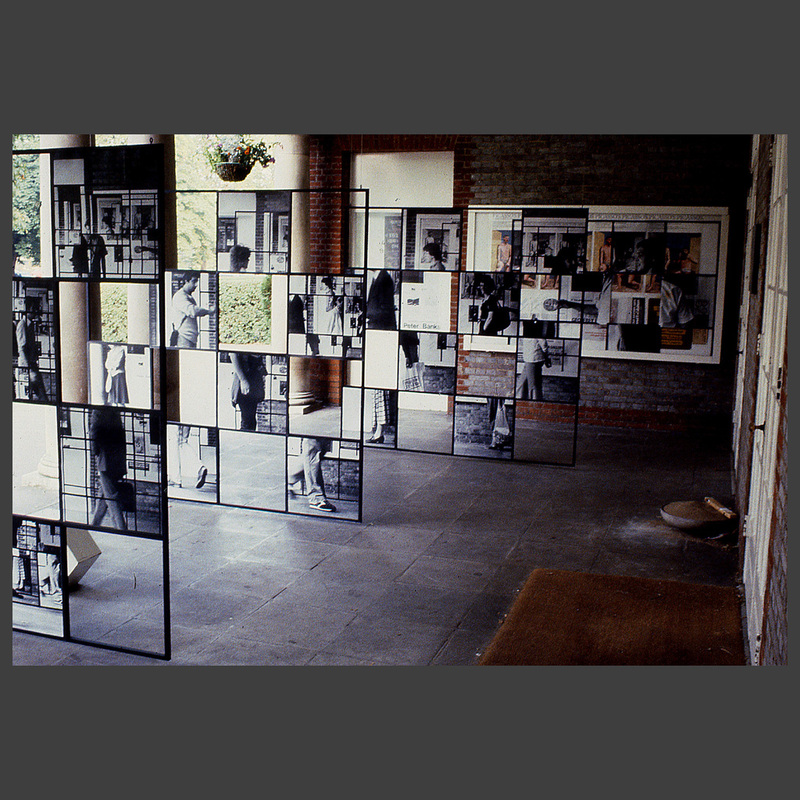 Photos were taken through selected frames in both directions and the resulting life-size prints were fixed across the relevant spaces. 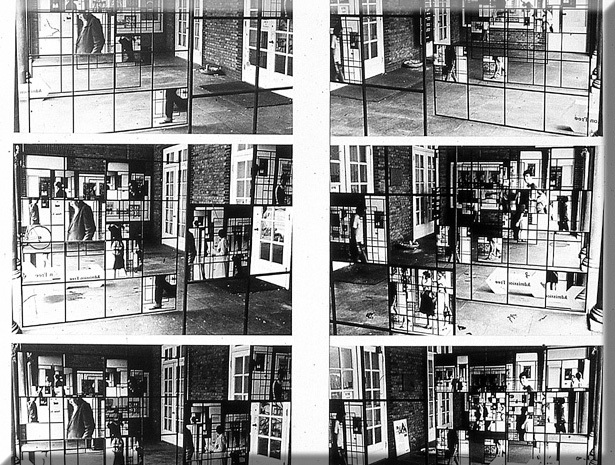 As subsequent shots were taken, they captured not just the passing visitors to the exhibition, but also sections of the previous prints. 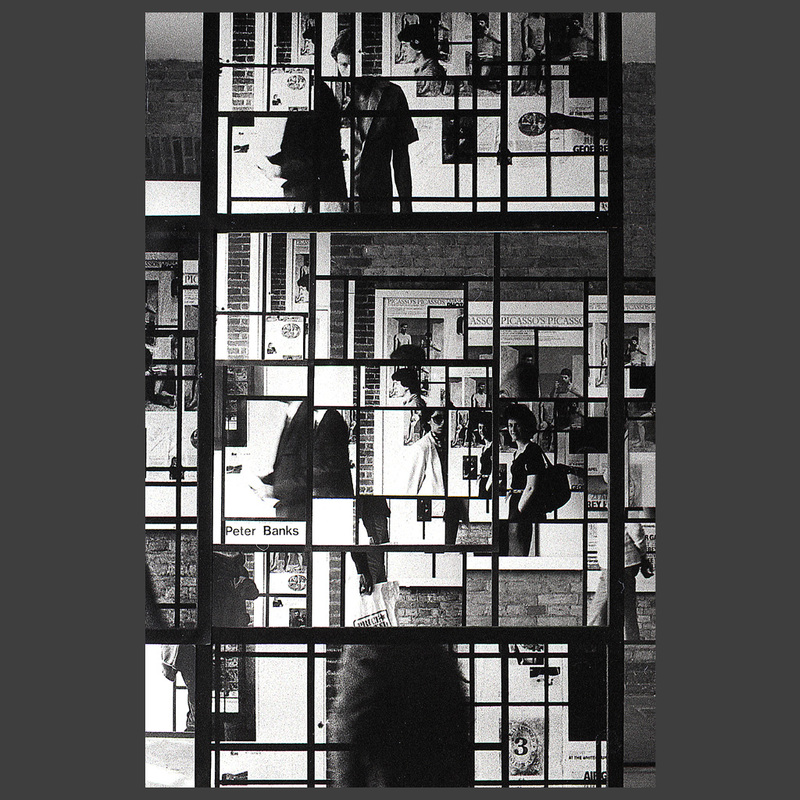 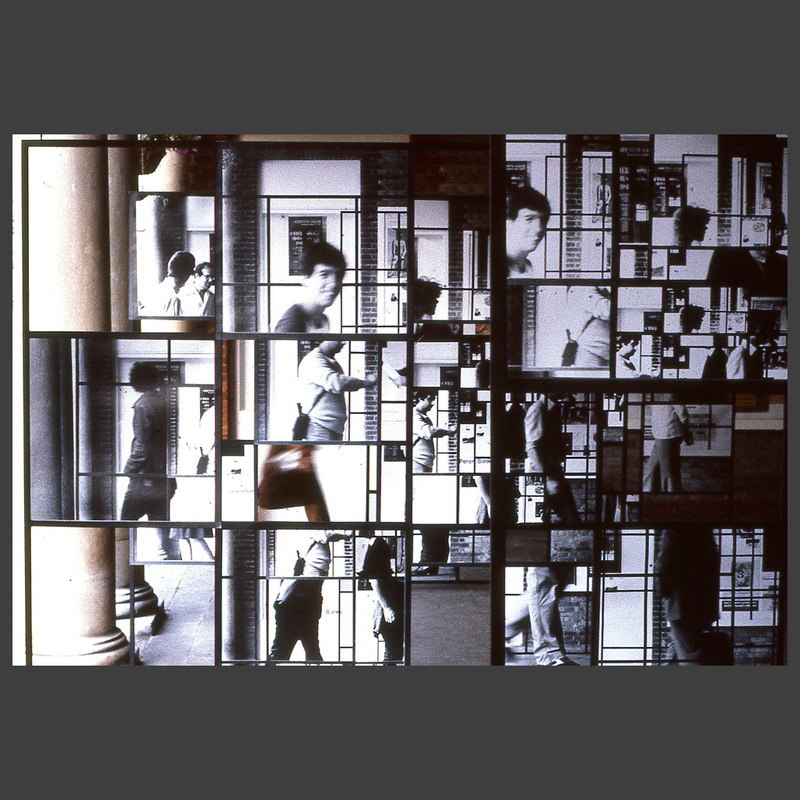 The process stopped when alternate squares of each frame contained a photograph. 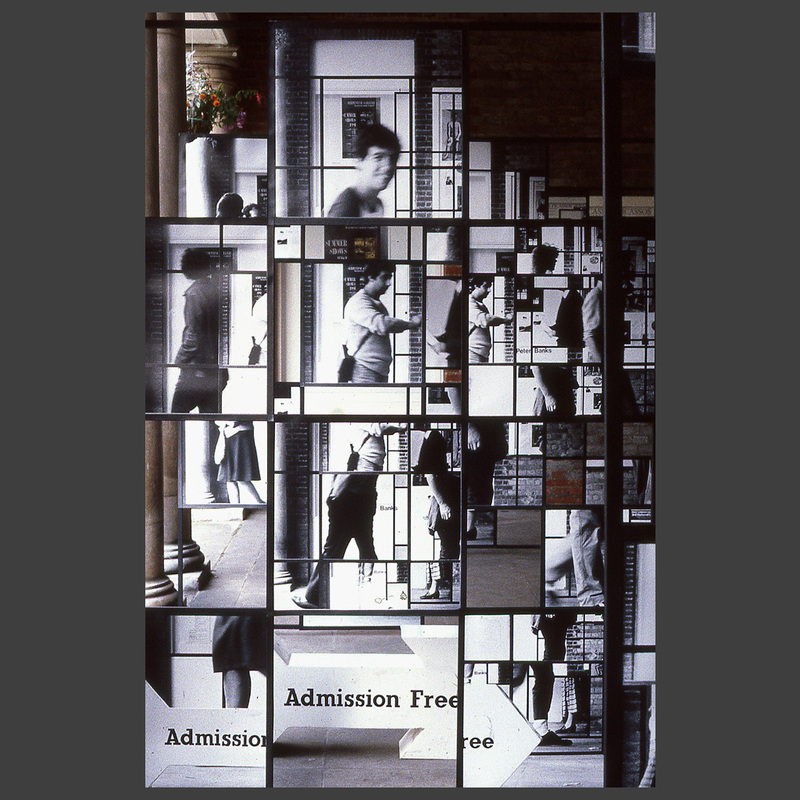 Viewers were encouraged not merely to look at the individual images, but also to look through the gaps in order to view the whole structure. 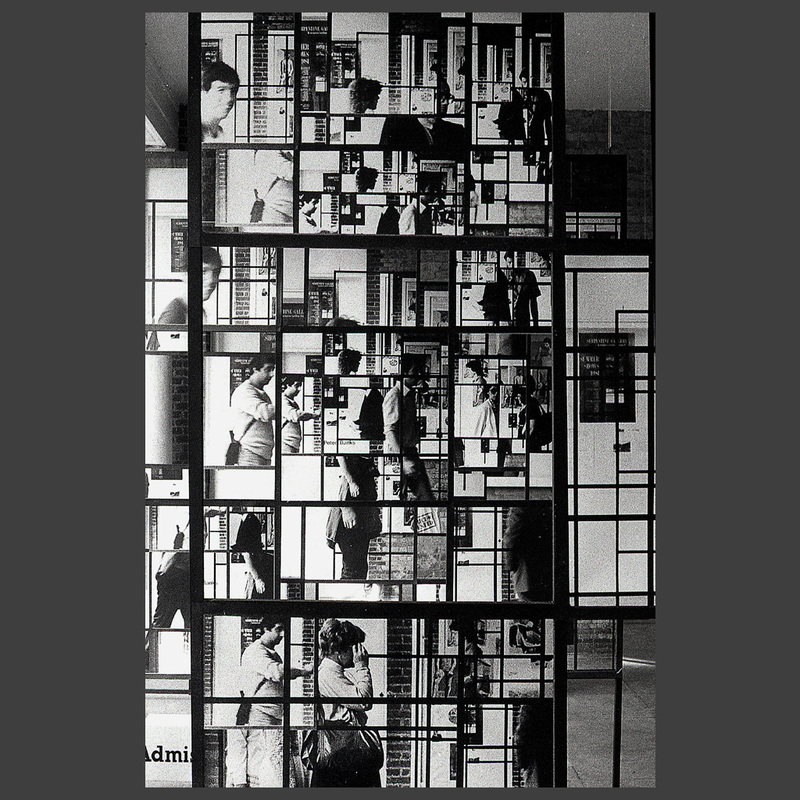 Some of the later images were highly complex, showing receding grids interspersed with sections of bodies being copied and passed backwards through the structures. 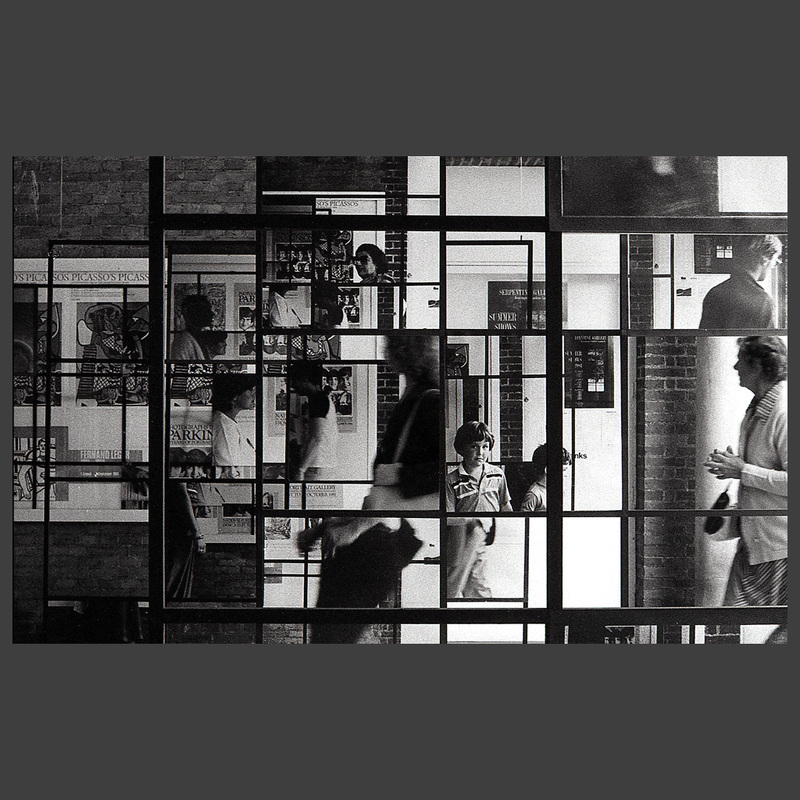 Other images appeared to punch a hole through the complexity to show a simpler, emptier past time. 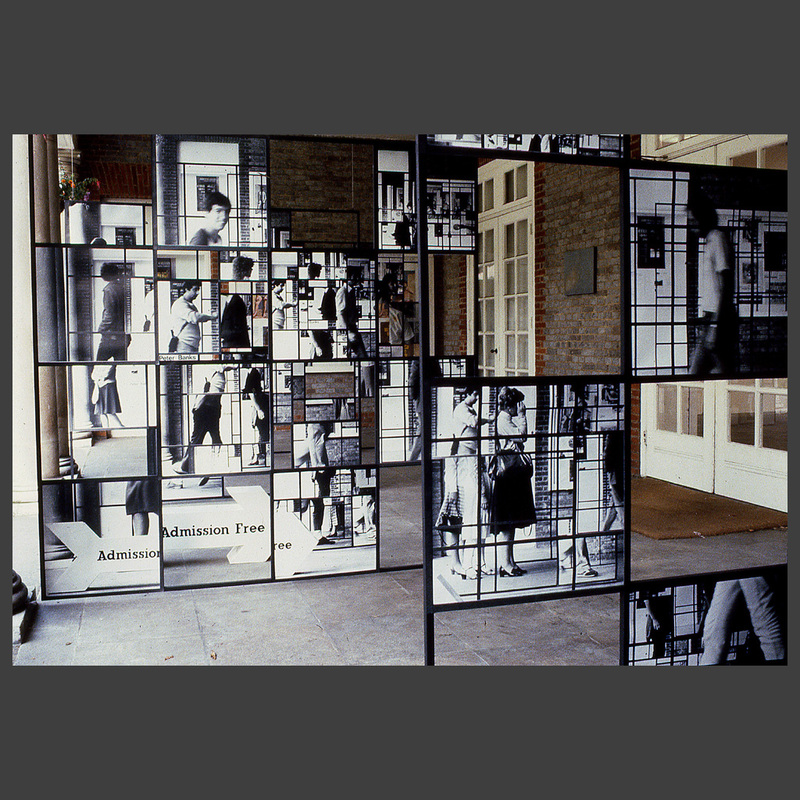 The second photographic installation at the Serpentine Gallery was carried out in the entrance area. 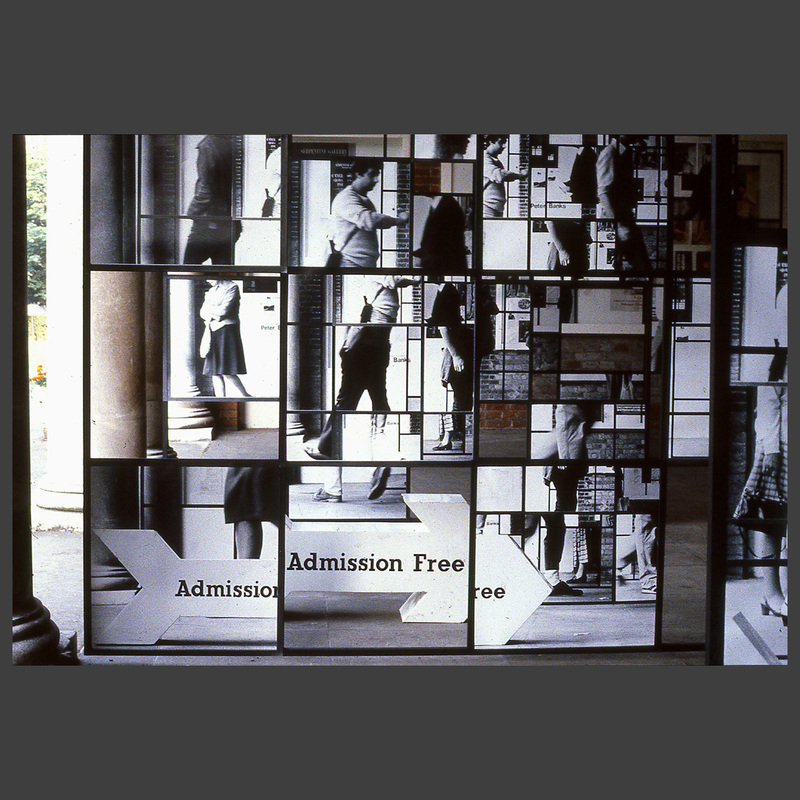 Four frames were suspended in such a way as to create channels through which visitors would enter the gallery. 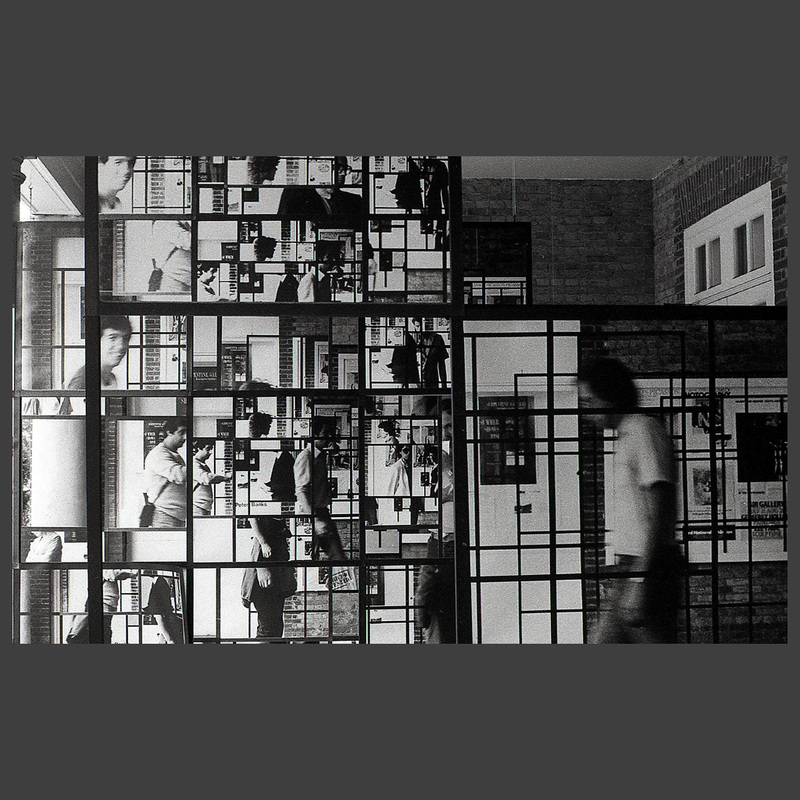 The frames were offset by half their length and grids were also created on the two display boards at the sides of the foyer.